The Scania Young Australian Truck Driver (YATD) of the Year has been announced. 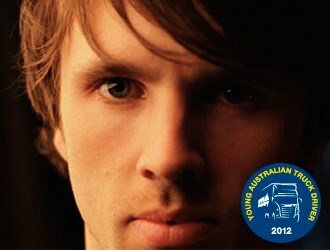 Brett Seager announced as the Scania Young Australian Truck Driver (YATD) of the Year. He is Brett Seager, 34, a driver with Riordan's Grain Services of Geelong. Seager received a cheque for $10,000 at Melbourne's Flemington Racecourse on Friday after an intensive day of knowledge tests, interviews, parking-bay manoeuvres and an on-road workout. He was one of 12 finalists from around the country who topped an internet-based knowledge test. Runner-up in the competition for 2012 was Chris Cartwright from Wagga-based Rodney's Transport Service. In third place was Nicholas Hornby from Hastings Co-op Fuel Supplies in Wauchope, NSW. Scania Australia Managing Director Roger McCarthy says that, this year, Scania put more than 70,000 young drivers to the test in competitions in almost 40 countries. "This is a significant increase on previous competitions, both in terms of the numbers of drivers, and the number of countries taking part," McCarthy said. "Our aim with YATD is to bolster community understanding that truck drivers are professional, skilled, courteous and safe. It is also aimed at attracting young drivers to the profession of truck driving." Seager got into trucks after stints working in factories and offices. "My father was a driver, I always liked trucks and enjoyed being around them, and I thought I was a pretty decent driver so I gave it a go," Seager says. "I'm still here eight years on, still enjoying it and making a living out of it." Seager's advice for young drivers entering the industry is simple: "Know your vehicle height, respect the weight you're carrying, and remember no deadline is worth your life − if you're tired, pull up."